Our school’s reputation for excellence has grown from over half a century of commitment to generating new ideas. We encourage divergent thinking and nurture a community of highly motivated staff and students. The Academy embraces a mastery curriculum and the Growth Mindset approach which ensures scaffolded support is in place to promote success for all rather than put a ceiling on the achievements of our learners. Our High Performance Learning (HPL) programmes encourage every student to be the “best they can be”. They recognise that all students develop at different rates and that everyone can achieve at the highest level. This can also be observed in the Project-based Learning experienced in project weeks as well Year 7 and 8 through the REAL projects. Currently in Year 9 our students make their first choice for future pathways. This means that the two carousels are replaced by a one-year GCSE or equivalent which students complete in Year 9 over 4 sessions per week. The curriculum is completed by three sessions of English, Maths and Science, two sessions of MFL, Humanities and PE and one of Global Citizenship. 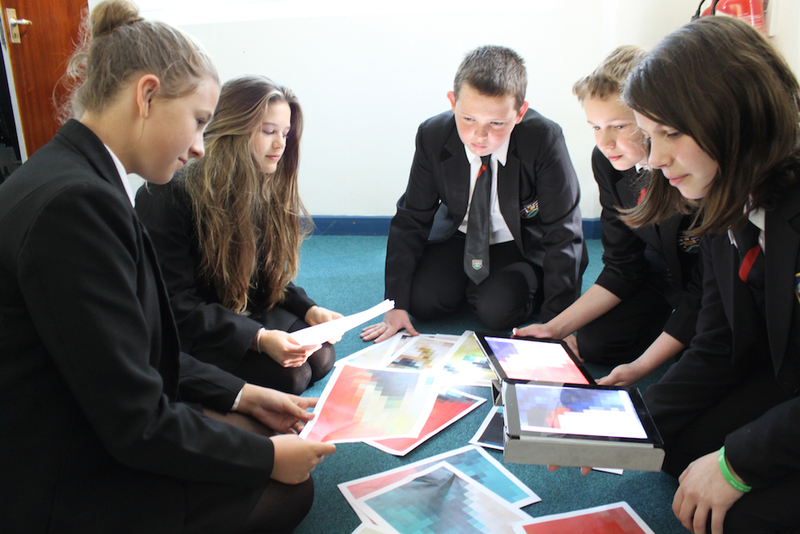 In Year 10 our students make further option choices which allows them to opt into a range of examination subjects. At this point they will choose three subjects which they will study for two lessons per week. The choice comes from a wide selection of subjects. Year 10 students continue studying three sessions of English and Maths with all students studying Triple Science over 5 lessons per week. Students will also have two lessons of PE and one of Global Citizenship. The Year 11 Curriculum is a continuation of their Year 10 studies. Students study three sessions of English and Maths, 5 lessons of Science, two sessions of PE and one of Global Citizenship along with two sessions per week of their three chosen option examination subjects. 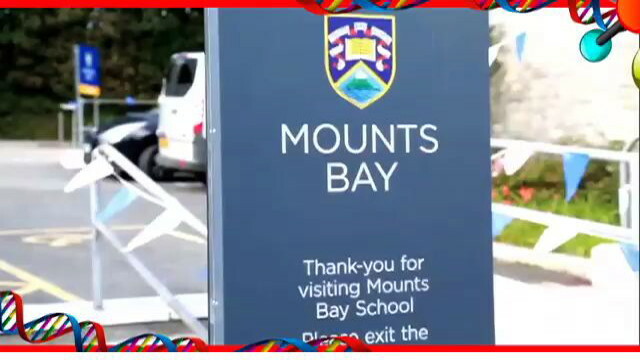 At Mounts Bay Academy we believe that all students have the potential to study and be successful at the highest level. To increase the opportunities for our students and to help them identify their area or areas of expertise we offer a range of activities both in normal curriculum time and after school that challenge students in additional ways. We have lead teachers in all curriculum areas who organise a wide range of activities that allow students to study subjects in more detail or inspire them to continue to follow these courses as college or university. Through the HPI activities students are given the opportunity to study new and additional subjects such as Economics, Further Mathematics and Psychology. These courses are offered at either GCSE or AS Level and are run in two after school sessions each week. All students in Years 9 and above are given the opportunity to join one of these courses if they are interested. 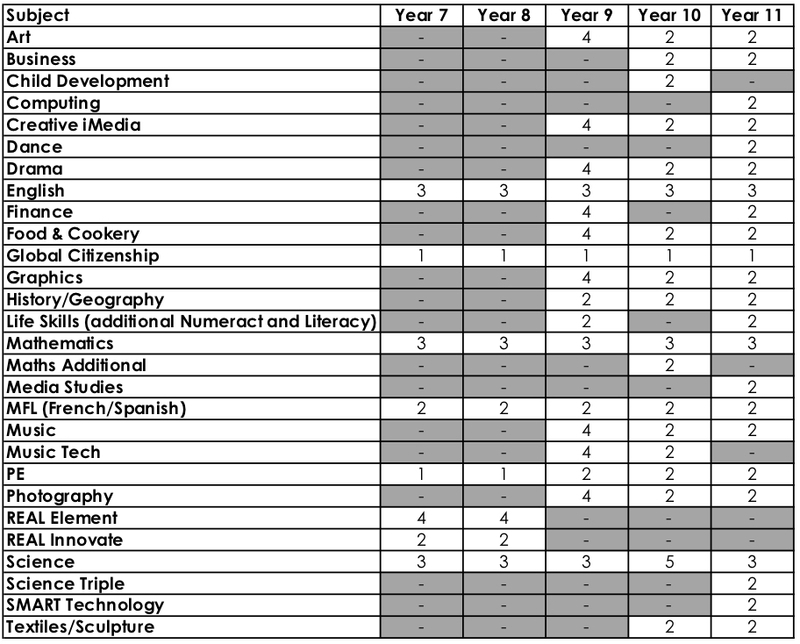 The table below shows our curriculum model for all years.